What do you really need to include in your skincare regime? We go back to basics. The beauty industry is overwhelmed with skincare advice. It seems like every week there’s a new influx of products and techniques to try – but what do we really need to do to look after our skin? 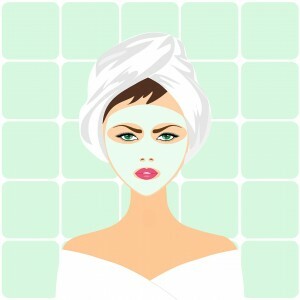 Take a look below for a beginners guide to skincare. Remember that our skin type changes as we age, so even if you suffered with oily skin as a teenager, you may now have dehydrated or combination skin. If you’re unsure what your skin type is, visit a professional to find out what it is and what it would benefit from. Cleansing is one of the most important things you can do for your skin. Make sure you are using the correct cleanser for your skin type and if you can, follow up with a toner to remove any impurities your cleanser missed. Finally, be sure to moisturise. This balances out your skin, keeping it hydrated and plump (tip – use the right moisturiser for your skin type). Give yourself a short facial massage when you apply your moisturiser. This will reduce puffiness and boost circulation. Upward movements also help to counteract wrinkles – bonus! Serums are a great way to give your skin the ingredients it needs. Apply a serum designed to tackle your skincare problems overnight. The eye area is often the first to show signs of ageing. Protect the delicate skin around your eyes with a dedicated eye cream. If you only do one thing for your skin – make it this! Wear sunscreen with SPF every day (even if the sun’s not out). As well as protecting against skin cancer, this prevents skin discolouration and slows down the development of wrinkled, prematurely-aged skin. Our tip? Take your make-up off as soon as you get home for the evening. This means when you get tired later, you can go to bed without worrying about taking off your make-up. Use a gentle make-up remover and follow up with a cleanser to actually cleanse the skin. You’ve heard this plenty of times before, we know – but for good reason! Drinking enough water will keep your skin hydrated from the inside out and will give you a glow. Having a professional facial treatment every few weeks can rejuvenate your skin and give you time to truly relax. You can use this time to tackle specific skincare concerns you have, or simply for ongoing maintenance. Find out more about facial treatments on our dedicated facials page. View and comment on the original Refinery 29 article.